Philippines Central Bank To Raise Interest Rates? Inflation rate in the Philippines has been in its highest level this year as compared to last year. 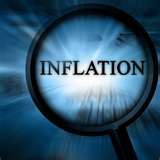 The National Statistics Office (NSO) has noted an increase of 4.5 percent in the consumer price index this April compared to last year of April 2010. Economic analysts foresee that the Bangko Sentral ng Pilipinas (BSP), the Philippine Central Bank that it will accordingly raise interest rates. The increase in consumer prices did not come as a surprise considering the strong inflationary pressures coming from food and oil recently. While other Asian countries have raised interest rates in succession to try and control inflation as the global economy emerged from the financial crisis, the Philippines has only done so once, in March this year. By contrast, Thailand increased the cost of borrowing this month for the sixth time since July 2010. And India has raised interest rates nine times in 15 months. The Philippine central bank is meeting later to review its current policy. Can Drilling For Geothermal Energy, Oil & Gas Cause Earthquake?